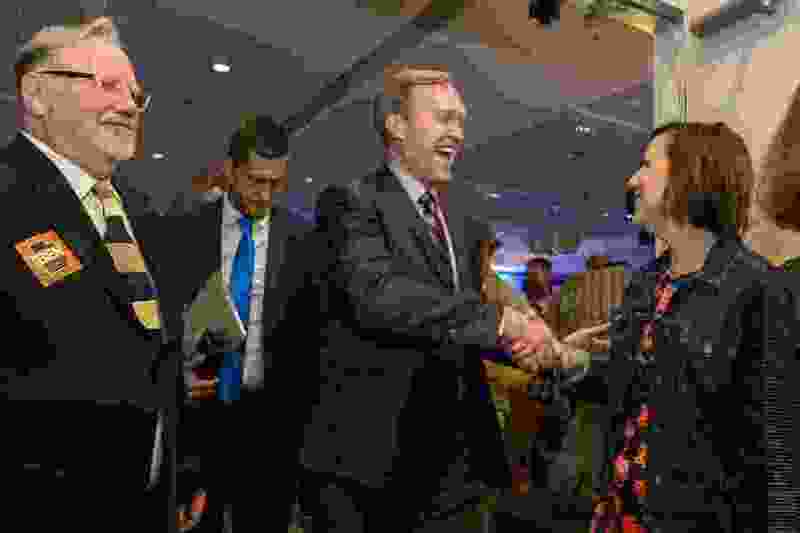 Leah Hogsten | The Salt Lake Tribune Utah's 4th Congressional District Democratic challenger, Salt Lake County Mayor Ben McAdams, is congratulated on a race too close to call at the Utah Democratic election night headquarters at the Radisson Hotel Salt Lake City, Tuesday, Nov. 6, 2018. Newly elected Rep. Ben McAdams is keeping a campaign promise: He’s holding two traditional town hall meetings this month, plus an open house in his new district office. During the campaign last year, he attacked then-Rep. Mia Love for avoiding town hall meetings where anyone may ask anything. Instead, she held 85 controlled small-group and open office meetings, though she would frequently call them town halls. She said she moved to those limited meetings as a safety measure amid reported threats to her and her family. • Jan. 22: He will hold an open house from 3:30 to 6 p.m. at his new district office, 9067 S. 1300 West in West Jordan. • Jan. 23: A town hall meeting from 6 to 7 p.m. at the Lehi City Hall, 153 N. 100 East in Lehi. • Jan. 24: A town hall meeting from 5 to 6 p.m. at the West Valley City Hall, 3600 S. Constitution Boulevard, West Valley City. Rep. John Curtis, R-Utah, has also scheduled a town hall meeting Jan. 22 from 7 to 8:30 p.m. at the Provo Recreation Center, 320 W. 500 North. 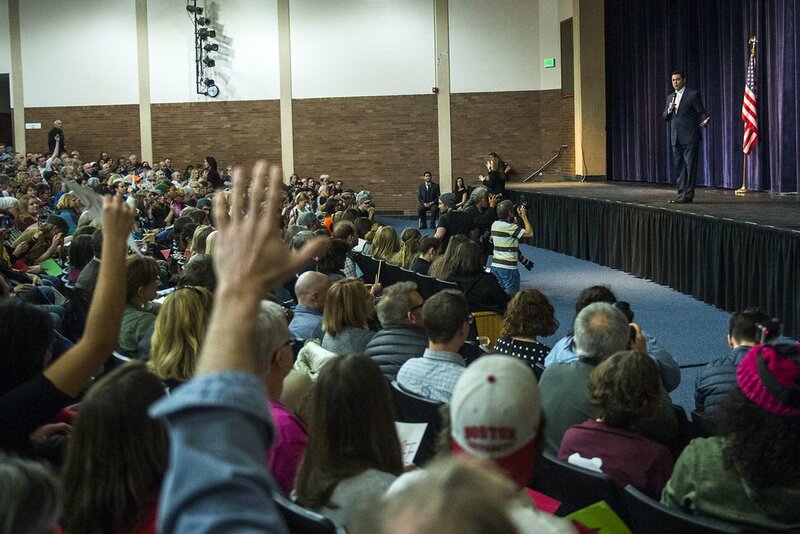 While those two newest members of the Utah delegation are holding town halls, such events had become a bit of a rarity here in recent years — at least along the Wasatch Front. That started back in 2009, when the health care debate exploded into hostility at town hall meetings around the country, helping spur the populist tea party movement. Members of Utah’s delegation at the time stopped doing live town hall meetings. Then, after President Donald Trump’s 2016 election, protesters nationally started crowding into such meetings to counter and shout down members who supported him. They grew so rowdy that former Utah Republican Party Chairman James Evans even urged canceling town halls, saying they had become too dangerous. Chris Detrick | The Salt Lake Tribune U.S. Rep. Jason Chaffetz, R-Utah, speaks to a question during the town-hall meeting in Brighton High School Thursday, Feb. 9, 2017.